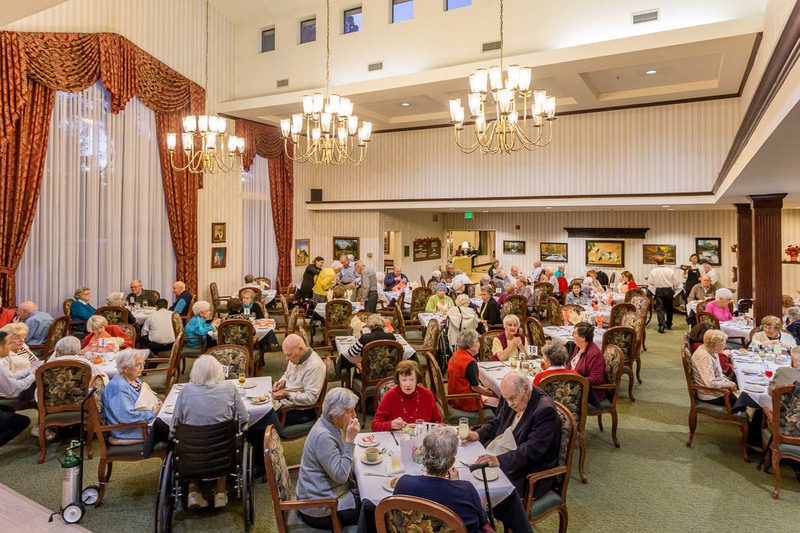 Sterling Court’s residents enjoy lunch and dinner every day served in a restaurant-style environment. 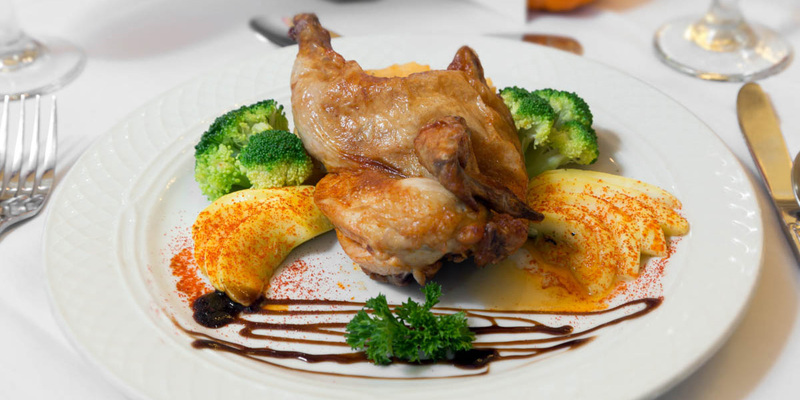 A large menu provides for a variety of tastes and dietary needs. Many healthy alternates are always available. 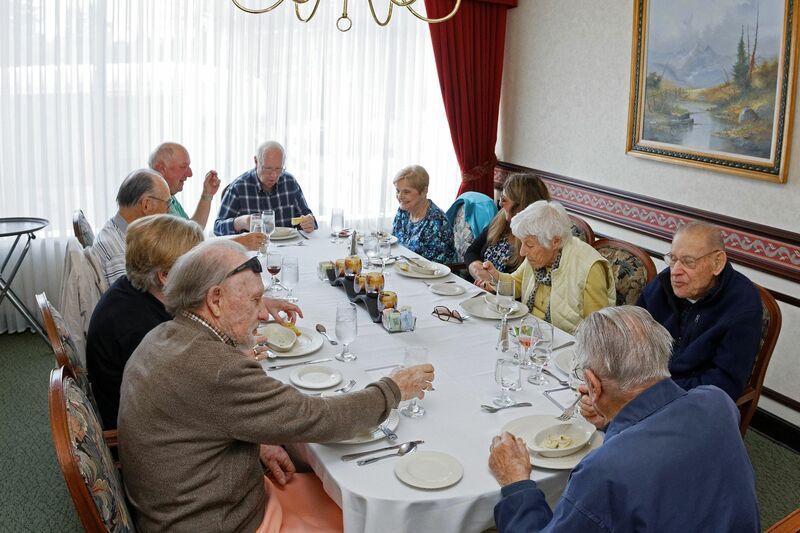 Sterling Court has a private dining room for residents to entertain guests with full restaurant services. 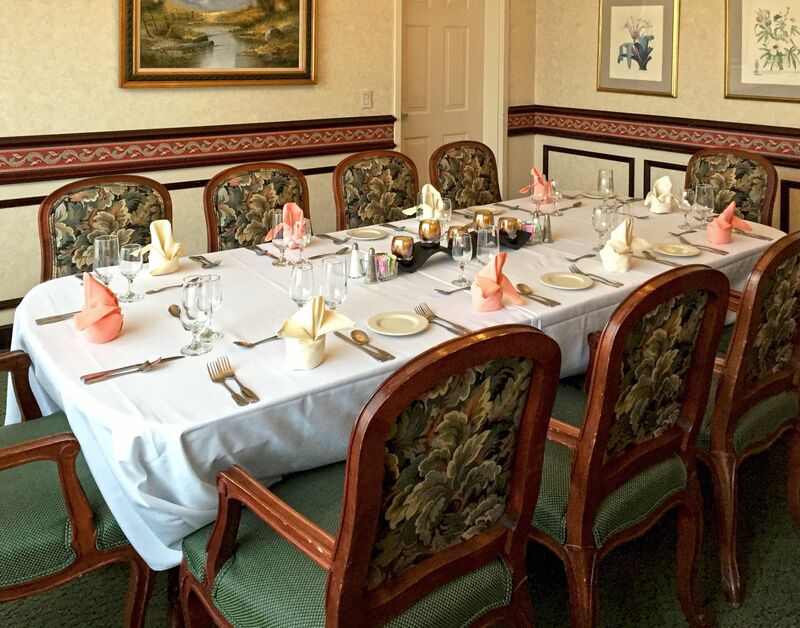 Meals are served in an elegant setting and the waiters will really impress your friends. 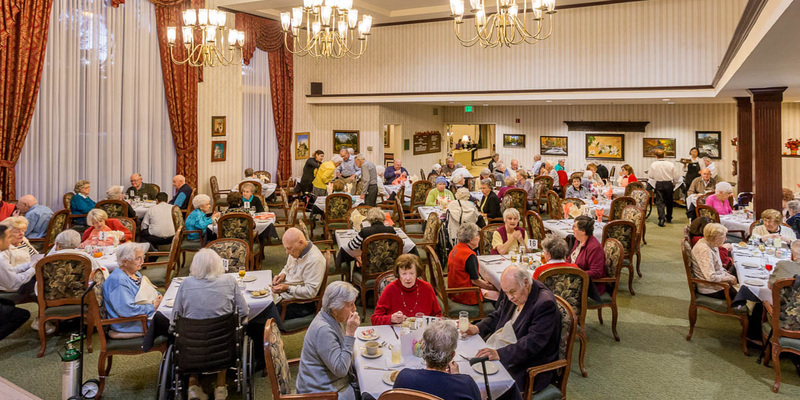 After dinner, guests can retire to the formal living room to relax and chat by the fireplace. 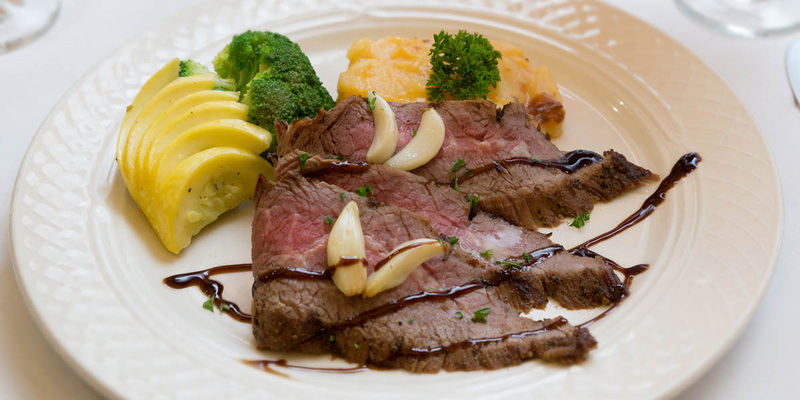 Special dining requests for you and/or your guests are no problem. Just let us know in advance. 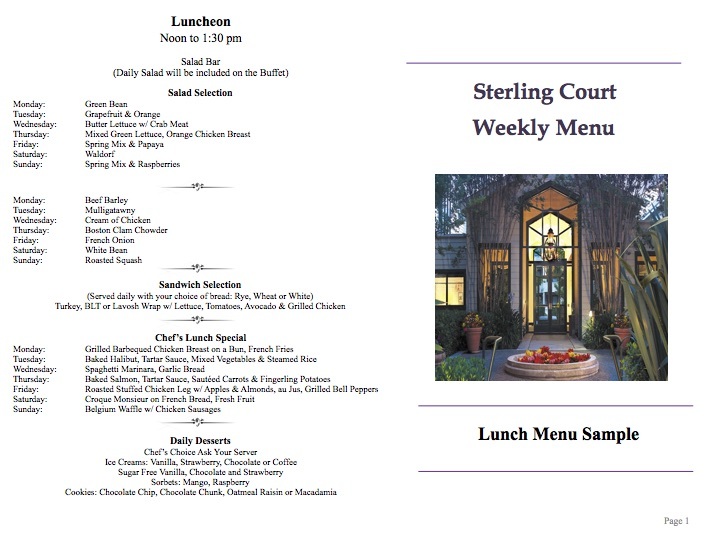 Sterling Court has a fresh new menu every day. We don’t simply repeat the same old boring meals every few weeks! 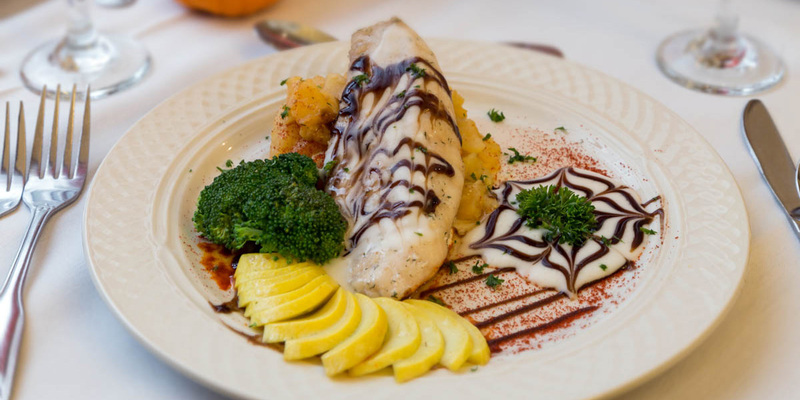 For lunch and dinner, you have a choice of a gourmet entree every day and we always have baked chicken, baked fish, or hamburgers available as well. 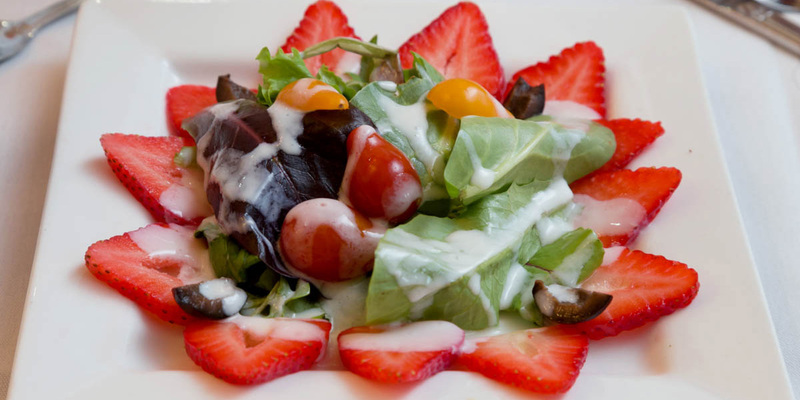 Along with every meal comes an assortment of beverages including wine, beer, and fresh juices. 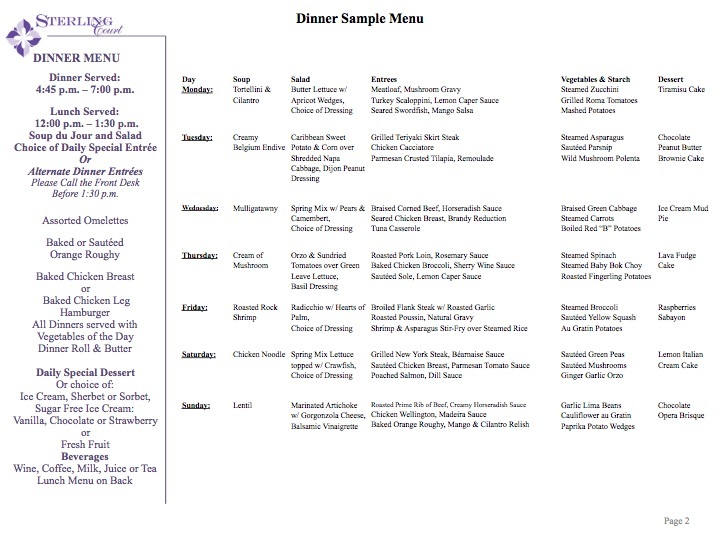 All meals are adjusted to your liking or to dietary needs.